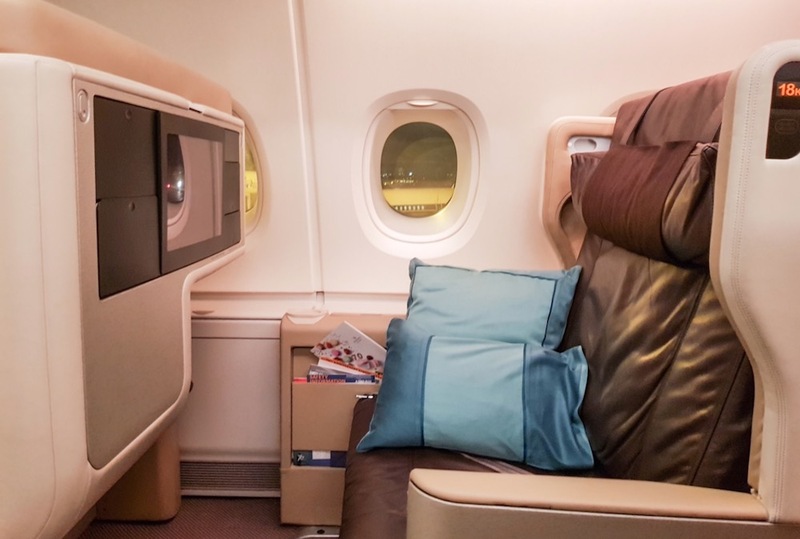 Point Hacks does not ordinarily publish reviews of Economy Class products but Singapore Airlines offers an outstanding product from start to finish, and lots of readers will have tried it before or will try it in the future. 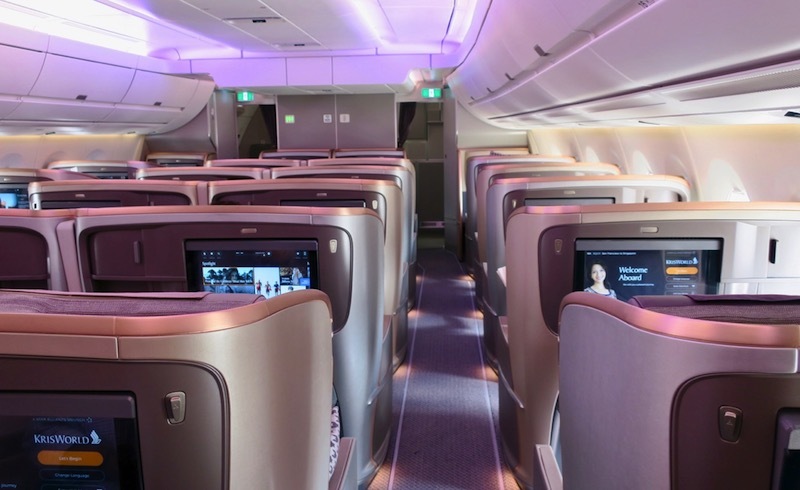 This overview looks at the Economy Class experience on the modern Airbus A350 and Boeing 787-10 aircraft, currently in service in (growing) parts of their network. To be clear, we are talking about two different planes with basically the same product (except for the seat width, explained below). 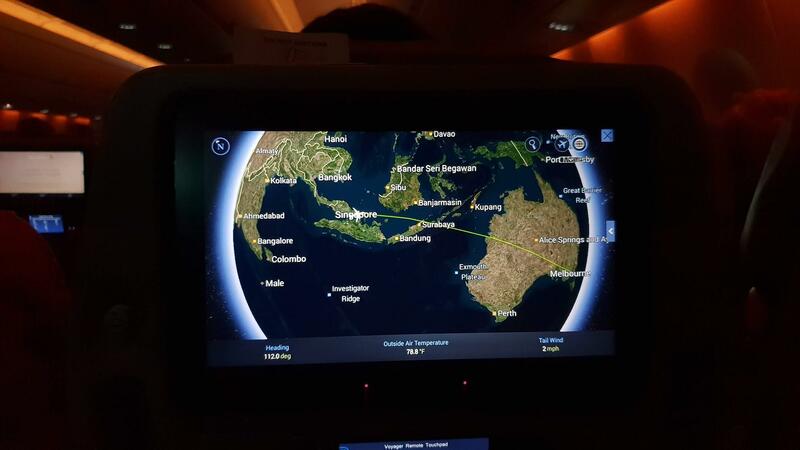 The Airbus A350-900 is currently seen on flights from Melbourne and Brisbane to Singapore, with Adelaide joining that list from mid-December 2018, and Christchurch from 8 January 2019. From Singapore, it flies onward to various long-haul destinations within Europe and Africa, although it also does short hops around Asia. The Boeing 787-10 is designed for regional routes, with Perth and Osaka being the two launch cities. Tokyo, Osaka, Nagoya, Bangkok, Bali and New Delhi soon joined the roster. As Singapore Airlines are still receiving new deliveries of these aircraft, be sure to check their website regularly for updates on new destinations. 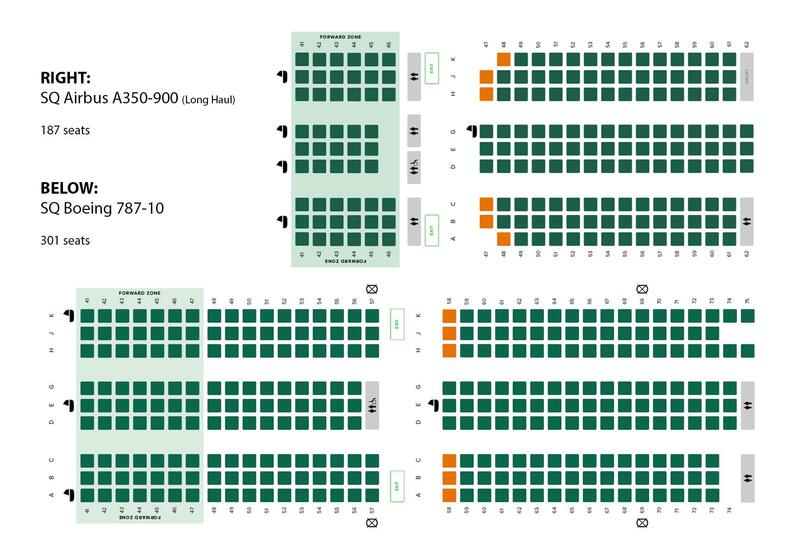 Here are the seat maps for the Airbus A350-900 (long-haul configuration) and the stretched Boeing 787-10, which has a much higher capacity. Both have a 3-3-3 configuration in Economy Class. Seat pitch is 32 inches on both planes, which is slightly above industry standard and fairly comfortable for most passengers of average size. 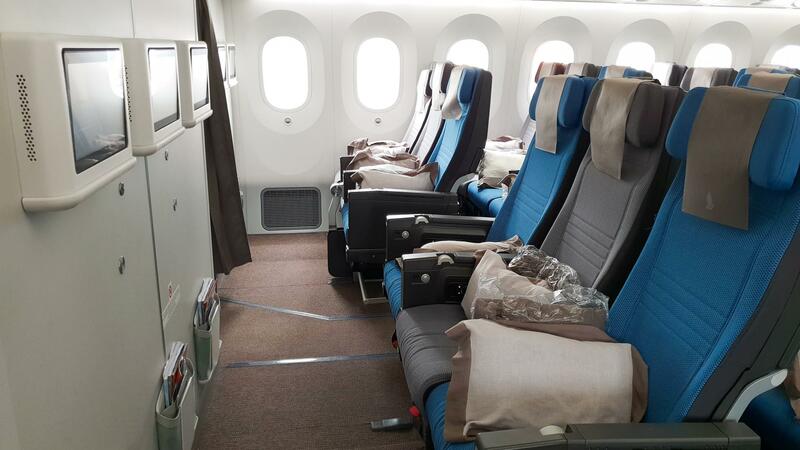 Seat width is 19 inches on the 787 and a slightly narrower 18 inches on the A350. 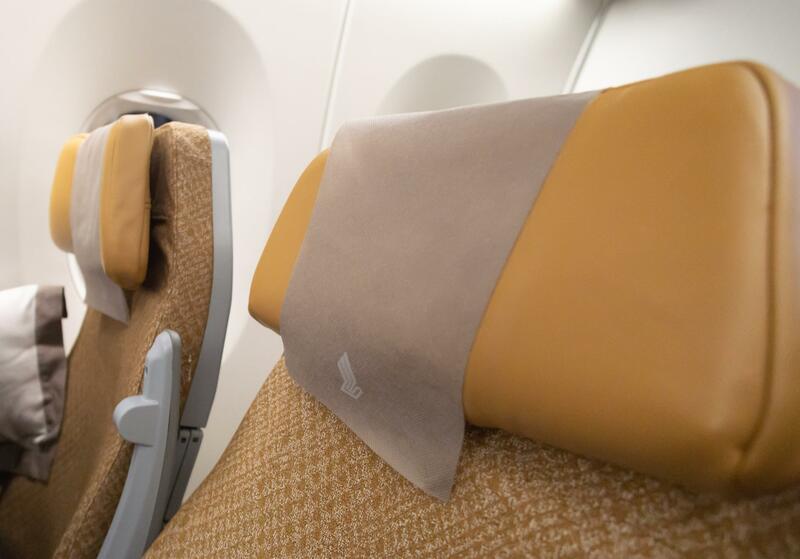 All seats have an adjustable headrest and much slimmer armrest, which helps with maximising space. 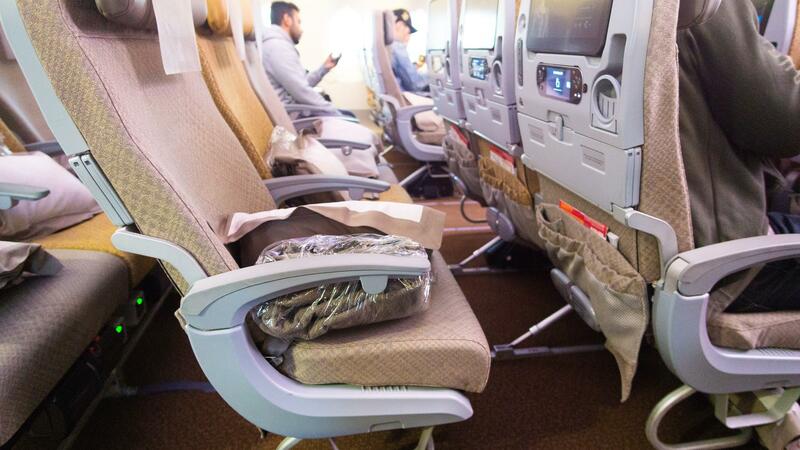 The recline of 6 inches is generous and comfortable—even in the last row. 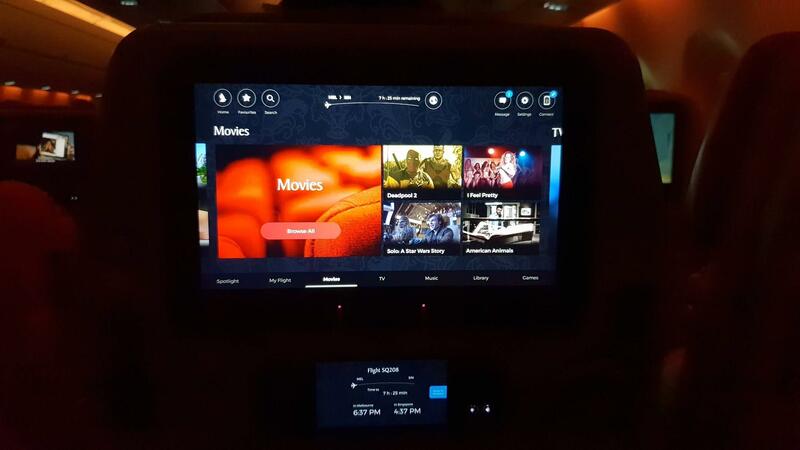 The inflight entertainment system on the A350 sports an 11-inch touchscreen, and a smaller secondary remote with a screen to monitor flight progress and operate the system. On the left, there is a coat hook, two USB ports (one optimized for charging) and an input for headphones. There is also a handy cup holder on the right. 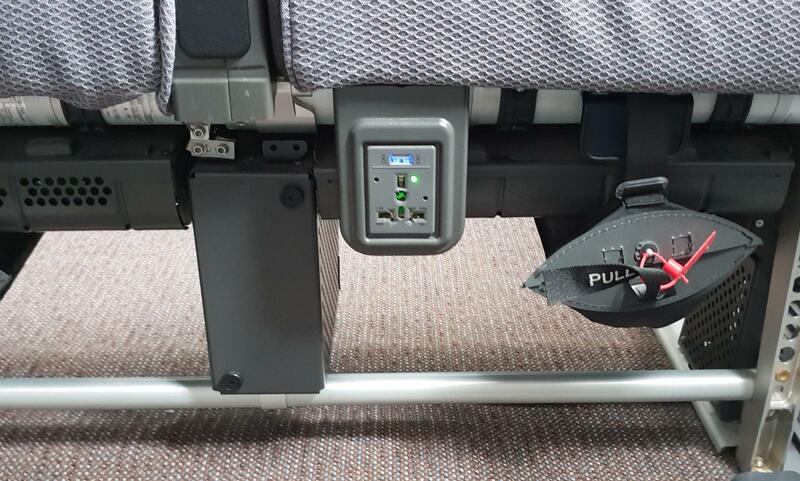 Each seat also has a universal power outlet for charging during the flight under the seat—this is not shared across the row but rather each passenger has one. For those looking for a bit more space without paying an arm and a leg, the first row in Economy (Row 41) is an option that offers slightly more knee room, plus there is no seat in front that could recline into your space. This row is classed as standard seats, so there is no extra charge for them. However, they are usually blocked out for parents and infants, so you may want to ask nicely at check-in to see if any are available. 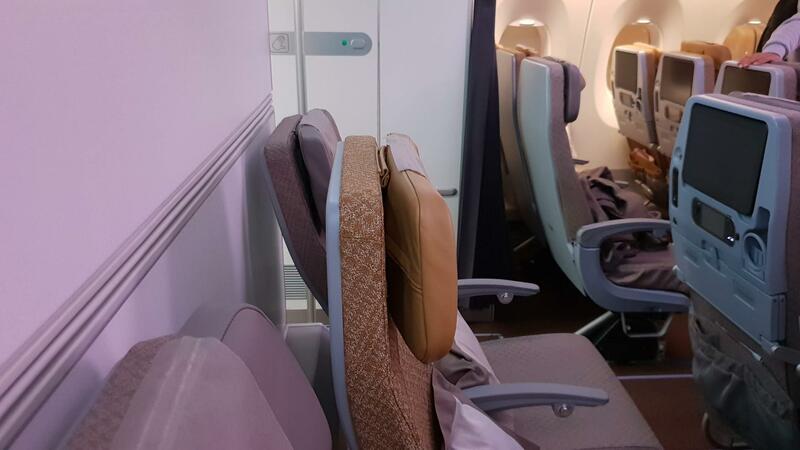 Downsides include the bulkhead limiting legroom, not being able to store items on the floor, and having a flimsier tray table in the armrest. For truly unlimited space for legs, extra legroom seats can be purchased anytime before online check-in opens. As a guide, it costs from $70 on flights to/from Australia. 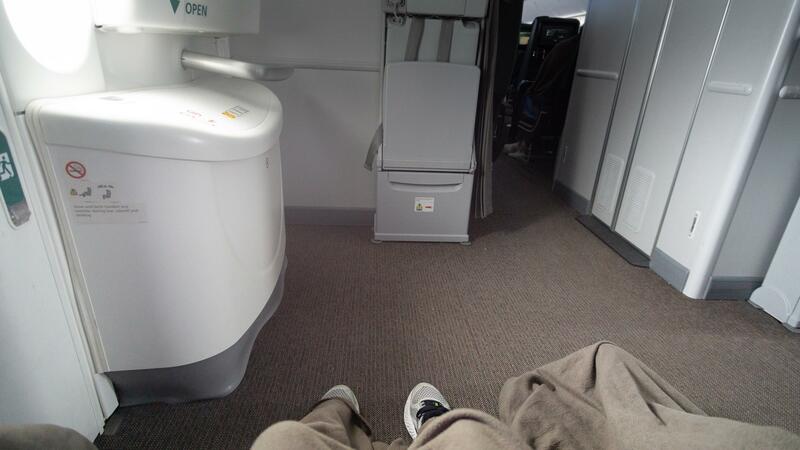 We were able to get spare extra legroom seats for free by asking at check-in but having Velocity status helped. When online check-in opens at 48 hours before departure, all seats become open and selectable for free, including extra legroom seats. You can also ask at the check-in counter. All flights include a meal service. Medium flights up to 6-7 hours, e.g. Singapore to Perth or Osaka, have one service, and two services are done for longer routes, e.g Singapore to Melbourne. 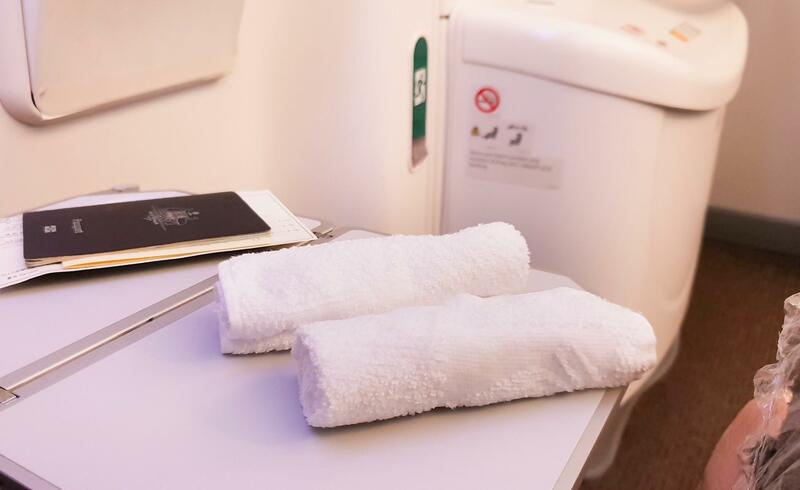 Service starts with hot towels before each meal is delivered, which is a touch usually found in Business Class on other carriers. Drinks are regularly offered, starting from after takeoff. A full bar is open to all adult passengers, including cocktail favourites such as the Singapore Sling. Menus tend to be themed to the origin/destination country. 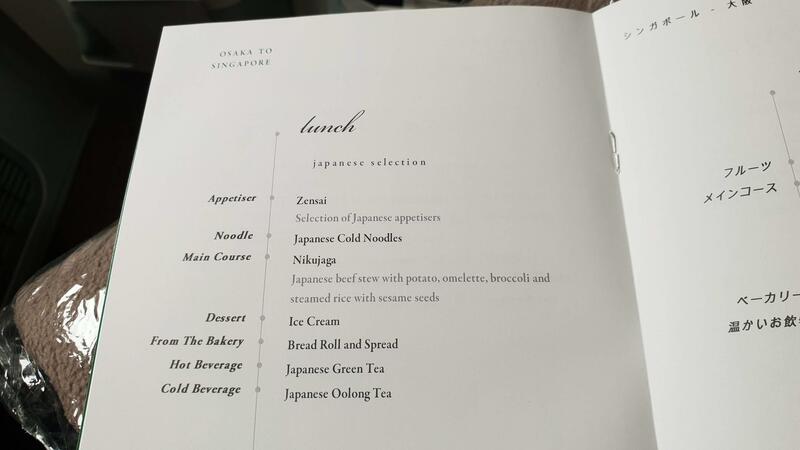 For example, flights to Japan will usually feature a Singaporean dish or a Japanese dish. Physical menus can be found in every seat. If you like chicken dishes, then try to sit as far forward as you can! 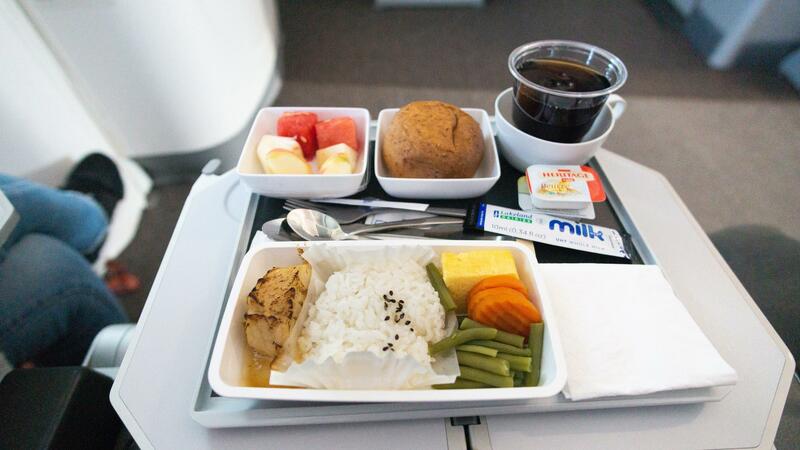 The cabin crew commented that chicken tends to run out earlier, as many guests do not like seafood or are unable to eat beef for religious reasons. 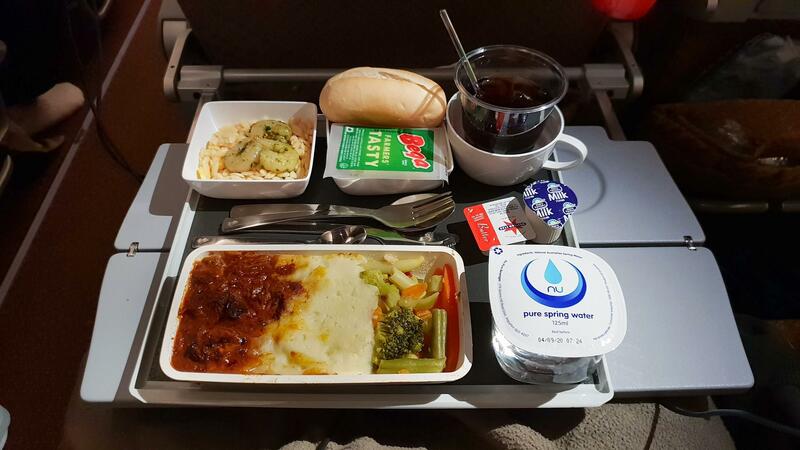 However, note that on longer flights, cabin crew will do the second meal service in reverse, so passengers at the back will get first choice. It was very refreshing to see a light and healthy option for breakfast. The Japanese meal was excellent. Once again, the Japanese menu impressed me with many different interesting flavours. The other option, Singaporean chicken rice, was also authentic-tasting, according to my partner. The food was all of excellent quality—no complaints at all. The portions were generous and there was great variety in all the courses. The KrisWorld entertainment system has hundreds of movies and TV shows on offer, all easily accessible through the screen. You can check here for the current new movies every month. You can also browse the selection through KrisFlyer app beforehand, save your favourites, and then sync it to your screen in-flight, as well as resume shows over multiple flights. The inflight moving map makes it very easy to customise different views. 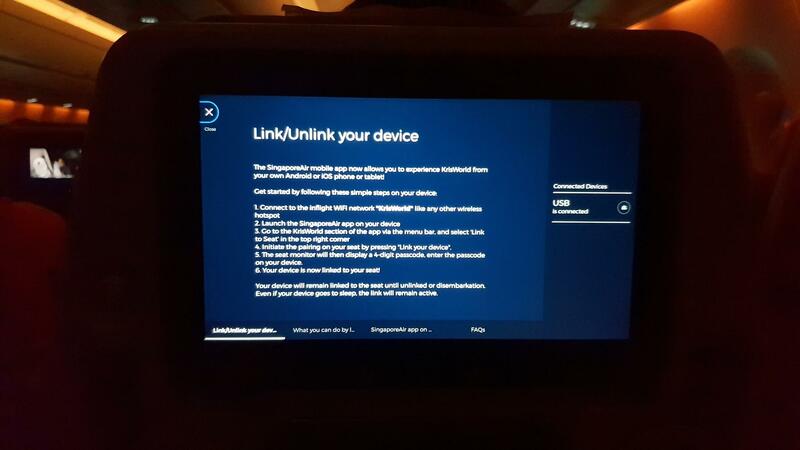 Inflight wifi is also available on some Singapore Airlines aircraft, including all A350s and 787s. 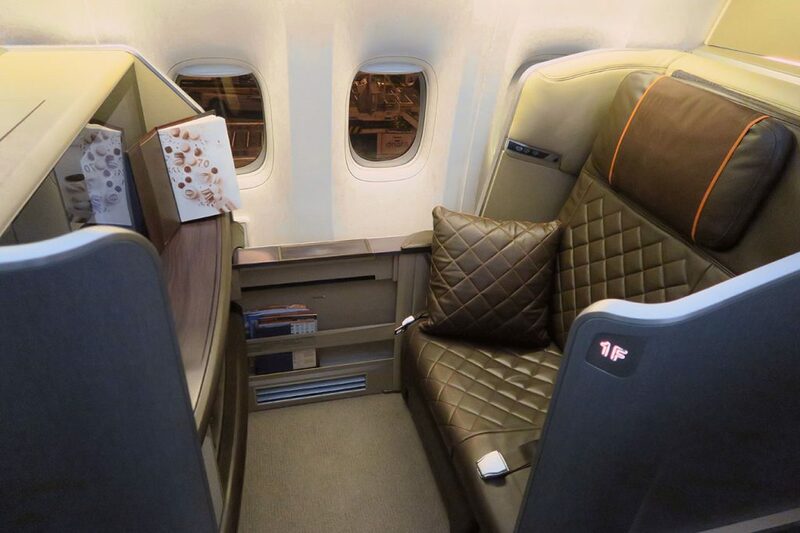 Business and First Class passengers have a limited free allowance. For everyone else, paid plans are available at ~US$10 per 100MB. Wifi speeds on our flight were relatively fast, topping at 10 Mbps downloads. 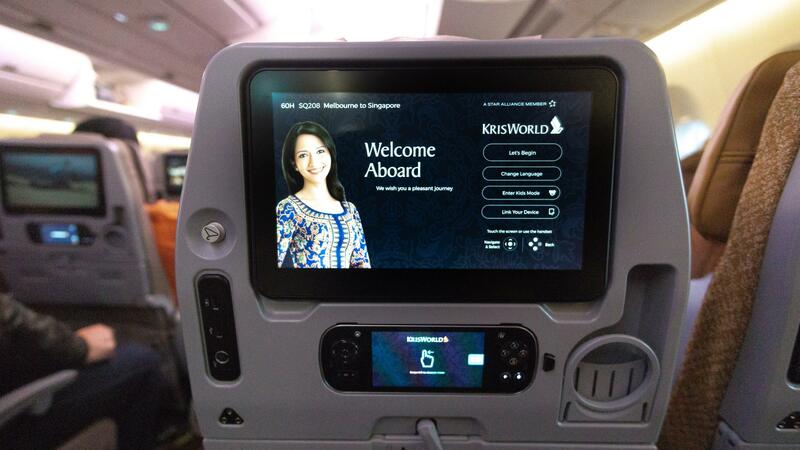 Matt experienced speeds of ~3/2 Mbps download/upload on his A350 flight from San Francisco to Singapore. Free earphones and newspapers are available at the gate area during boarding. Onboard, basic amenity kits are still distributed to Economy Class passengers, which include socks and a toothbrush. Additional amenities are made available in the lavatories, including more toothbrushes and safety razor blades. Remember you can transfer your Velocity Points to KrisFlyer if it works out cheaper for your route. However, here at Point Hacks, we generally recommend saving your points for Business or First Class travel to extract maximum value, and buy Economy fares with cash if possible. We paid under $750 per person in cash for Launceston to Osaka return (via Melbourne and Singapore), which represents excellent value in Economy Class. We credited our points to Velocity, which resulted in 3,587 Velocity Points + 70 Status Credits one-way. Our flight to Osaka was re-routed to Nagoya due to airport closures following Typhoon Jebi. 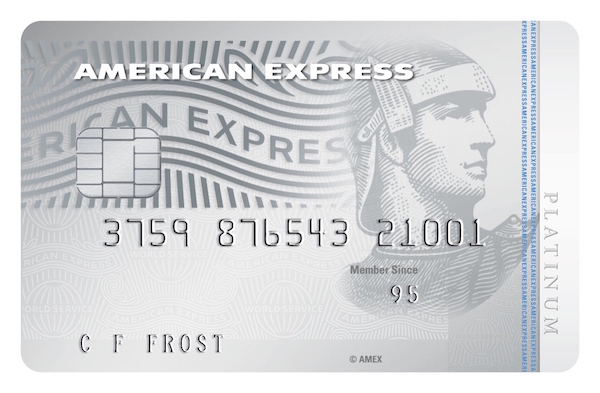 One way to enjoy lounge access regardless of the airline and cabin you are flying is by having a Priority Pass or American Express card. 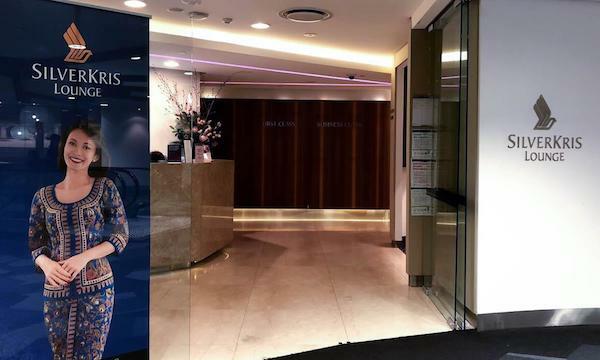 Velocity and KrisFlyer elites have access to the SilverKris lounges in Australia, such as the SilverKris Lounge Melbourne. 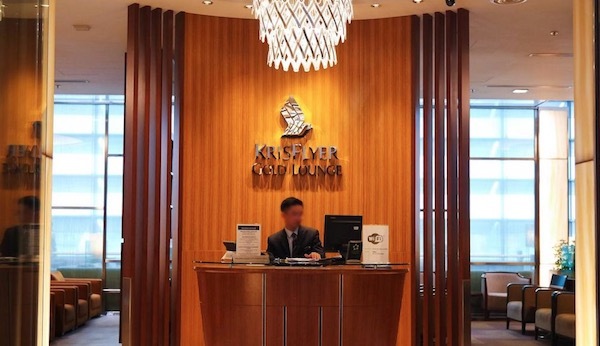 However, in Singapore, these elites only have access to the KrisFlyer Gold lounge, which is the most basic version available. 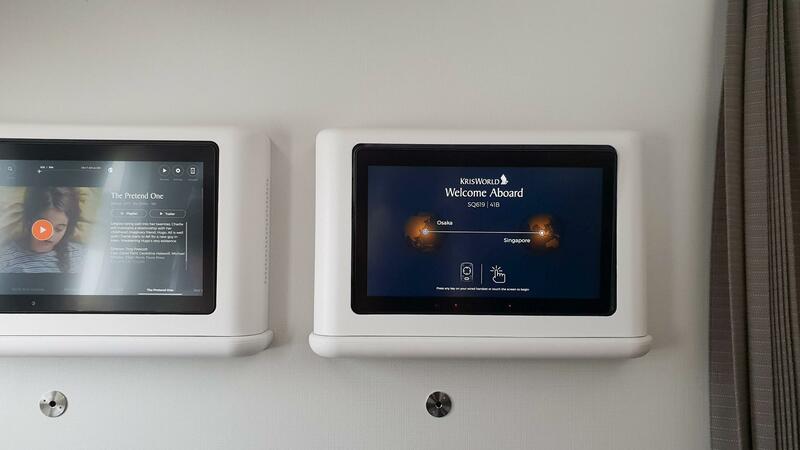 KrisFlyer elites can access the Air New Zealand lounges in Auckland, Wellington and Christchurch. Velocity elites have no luck with lounge access locally when flying with Singapore Airlines. 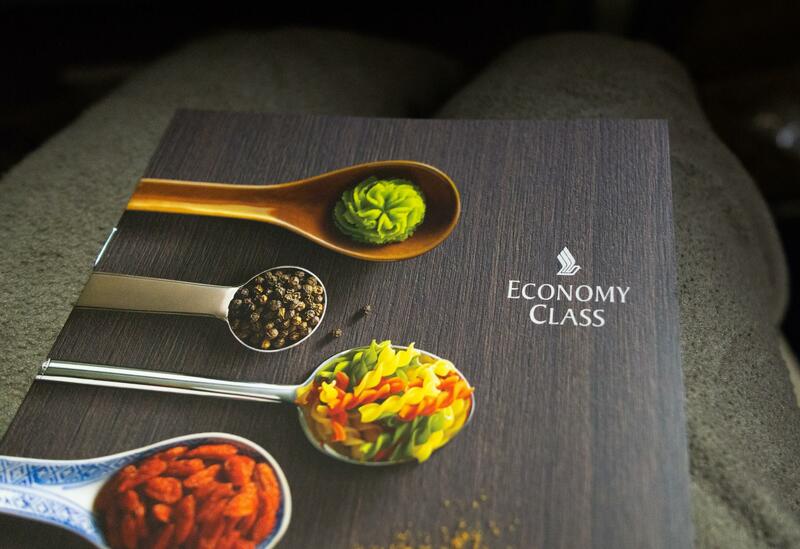 In short, Singapore Airlines offers a well-rounded Economy Class product. It is comfortable, has all the trimmings, has decent points earn, and is often quite affordable especially when on sale. 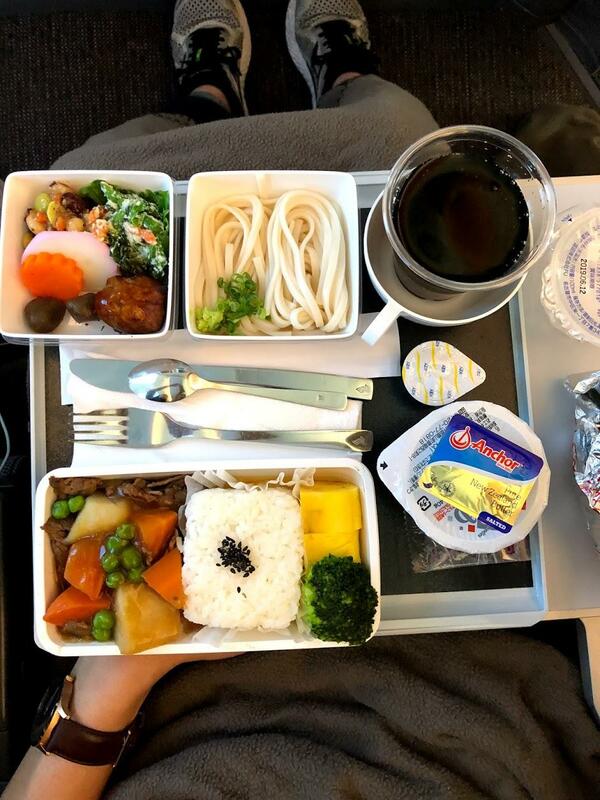 We especially liked the quality of the food, the breadth of the entertainment selection, and all the small touches you might not see in this cabin on other airlines, such as hot towels, amenities in lavatories, and universal charging ports in every seat. 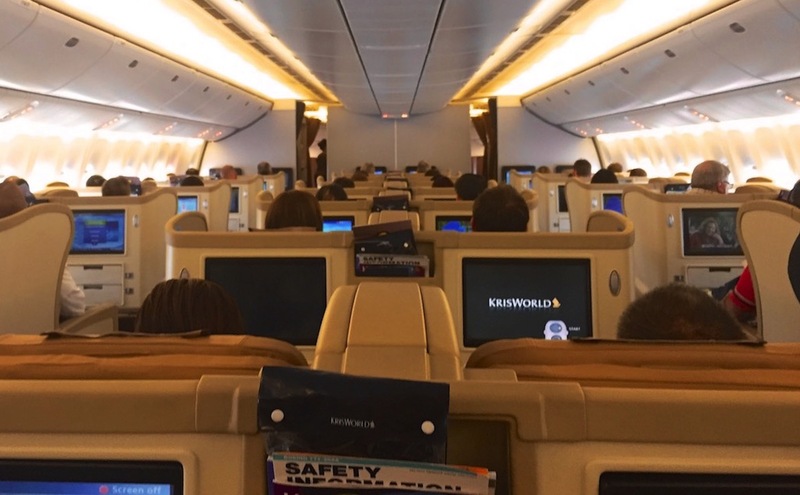 For the times where you would rather save your hard-earned points for a future Business or First Class redemption, buying an Economy Class ticket with cash may be the best way to go. 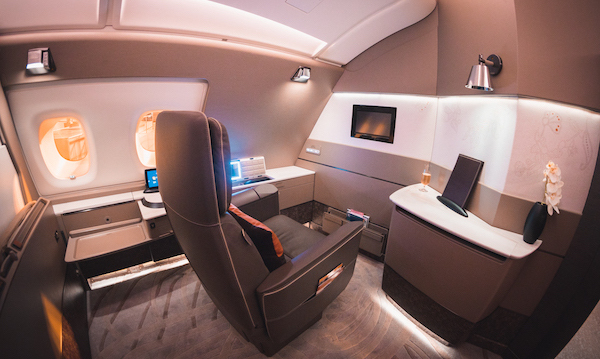 Pair that with a free extra legroom seat at check-in (if available), a Singapore Sling and noise-cancelling headphones, and you are set to travel in relative comfort. Thanks for this writeup! I can’t travel up front every time so happy to see the best economy options reviewed too. 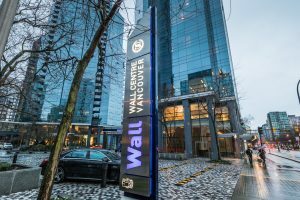 This SPG Category 5 hotel is in an excellent central downtown position, with a large renovated Club Lounge, extensive fitness facilities and newly renovated rooms.